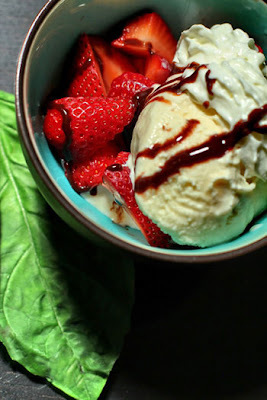 - Scoop the ice cream into the bowl, and add the sliced strawberries. As easy a preparation as you might ask for. - Top with whipped cream, and draw some diagonal lines with the chocolate syrup.